The Vancouver Canucks have been busy on Sunday, signing UFA forwards Antoine Roussel and Jay Beagle to similar four-year contracts. Roussel looks to be getting $13MM with Beagle getting $12MM over the same time period. Both deals will run through the 2021-22 season. Prior to signing with the Canucks, Roussel spent his entire six-year NHL career with the Dallas Stars. Not really an offensive dynamo, his highest production was a 29-point season in 2015-16 and last season, Roussel scored five goals and added 12 assists for 17 points in 73 games. He’s been a bit more well known for his rugged play, pesty ways and racking up penalty minutes on a regular basis. 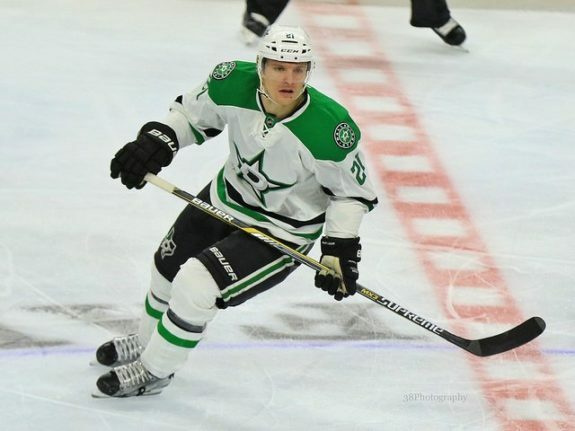 Roussel was not drafted to the NHL but was able to fight and claw his way into the league taking the AHL route with Providence and splitting time with the ECHL affiliate. He was then invited to the Canucks camp but not offered a contract. He attended the Canucks prospect camp before going to the Chicago Wolves, eventually signing a contract with the Dallas Stars on July 2, 2012. He went up and down between the NHL and AHL but finally stuck in 2013-14. While this signing seems to represent the type of money that will go out to a top-nine, possibly top-six forward, Roussel is a depth player who will bring some toughness and grit to the Canucks lineup. He won’t be counted on to produce significant offense, at best popping in 10-12 goals. Roussel can kill penalties and forecheck, getting under the skin of opposing players. Is this worth $3MM per season? Time will tell. Beagle had a number of teams interested in his services. Vancouver was the team that showed the most. 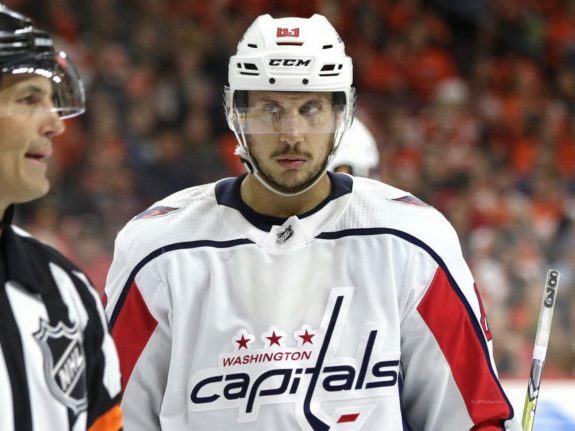 A Washington Capital over the past ten seasons, he recently won the Stanley Cup and will bring a wealth of experience to the Canucks organization. Beagle provides similar offense to Roussel but is also older and this deal will take him to the age of 36 years old when it expires. In 471 career games, Beagle has 51 goals and 65 assists for 116 career points. He added eight goals and 11 assists for 19 points in 85 career Stanley Cup Playoff games. Last season, Beagle posted seven goals and 22 points adding two goals and six assists in the postseason. His production wasn’t close to the highest on the Caps but he was important to their run and Capitals fans were sad to see him go. He offers leadership that will be huge for a Canucks team that is still young and will increase their bottom-six forward group. Had the Capitals had the salary cap space to keep Beagle, they likely would have. Instead, the Canucks will hope Beagle offers leadership and closer to the 10-15 goals he might be capable of in a large role. Rumors were the Caps didn’t feel it was the right deal for the team to offer more than a one-year term. At his age, Beagle wanted and needed the security of multiple years and got three in Vancouver.